This nifty puzzle book contains 100 colorful photo puzzles--spot the differences, which picture doesn't match, and put the picture back together on a degree of difficulty scale of easy to advanced. The photographs are eye-popping and the captions are witty. As for the puzzles, I must admit that I found the easy ones a bit challenging, but practice makes perfect! You really need a sharp eye to solve these! This volume of 400 never-before-published sudoku puzzles is an enthusiast's dream! Whether you are a novice to the devilish 9x9 square or a fiend, you will find plenty of brain-teasing action this book that translates into hours of fun. I dare you not to become addicted. I consider myself a logic puzzle nerd, but the deduction types are my least favorite. 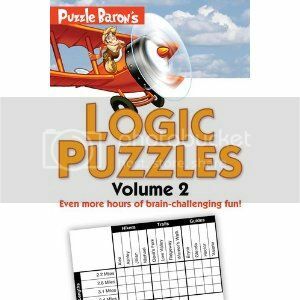 If you enjoy using your powers of deductive reasoning for fun, if your favorite TV show is The Big Bang Theory, then this book of 200 logic grid puzzles is for you! Pick up a copy for a student who is studying for the GMAT or LSAT. These puzzles are perfect preparation! The best part of all these books is that they each have an answer key in the back so you can check your work or get a little help if you get stuck. 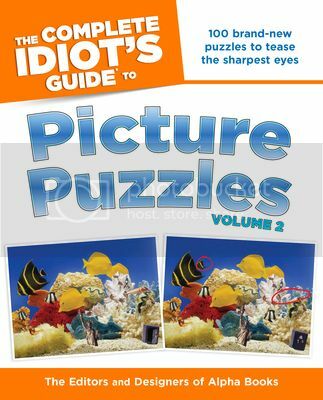 Buy It: The Complete Idiot’s Guide® to Picture Puzzles, Vol. 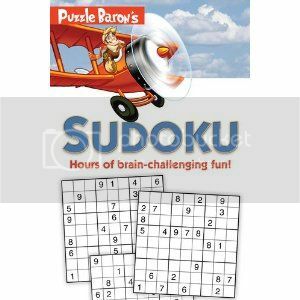 2 ($10.95), Puzzle Baron’s Sudoku ($9.95) and Puzzle Baron’s Logic Puzzles, Vol. 2 ($14.95) are available at all major bookstores and online. It makes a great gift! I am doing the exact same giveaway right now. Aren't these super fun books? I am not sure if I can give them away! I love these things. The Mr and I read a word quiz book every night before we go to bed. Lame, I know, but true. I just love puzzle books! I would so enjoy the Sudoku book. I love Sudoku puzzles! We have these books and love them! I love puzzles! They are especially great for passing the time on long plane rides. I LOVE puzzles...but I find these kind a little frustrating. The Sudoku? Forget it. And logic puzzles? They remind me of prepping for the LSAT...and those weren;t fun times. However, it doesn't stop me from doing puzzles obsessively. LOL. Ooohh, perfect for long plane rides! I need a little Sudoku practice, though! I'm afraid that doing Logic or Sudoku puzzles, would make my head explode! I've never gotten into sudoku puzzles but I know from friends that they can be addictive.